ACP history was made on February 11, 2016 when the first annual meeting of the newly established Gulf Chapter of the ACP held its inaugural meeting. The setting for this meeting was the nine-month-old Cleveland Clinic, Abu Dhabi, United Arab Emirates (UAE), a very impressive 300 plus bed hospital. 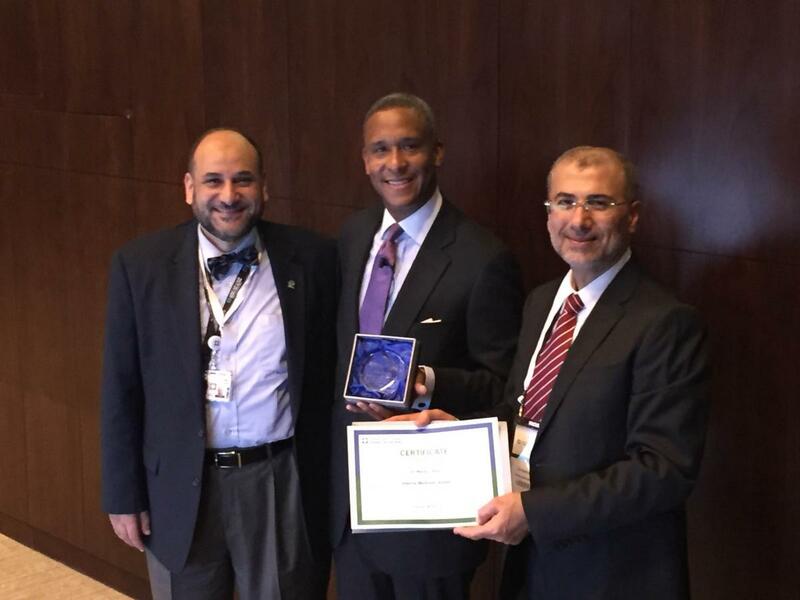 This first ACP chapter meeting coincided with the "Update in Internal Medicine" at Cleveland Clinic under the able direction of Hussein Saadi, MD, FACP, FACE, Chief of the Medical Specialties Institute, Cleveland Clinic Abu Dhabi and Clinical Professor of Medicine, Cleveland Clinic and Essam Elsayed, MD, FACP, Interim Governor of the ACP Gulf Chapter. I was honored to deliver the keynote address to begin the meeting: "ACP at 100: Promoting Excellence in Internal Medicine" to over 200 attendees. In my talk, I highlighted the 2015 100th anniversary of the College, its many successes over those years and its promising future to remain as one of the world's most admired medical specialty organizations. I congratulated the members of the ACP Gulf Chapter for the establishment of the Chapter and laying the foundation for further growth and expansion in the years ahead. The enthusiasm for the ACP was very strong and gratifying. 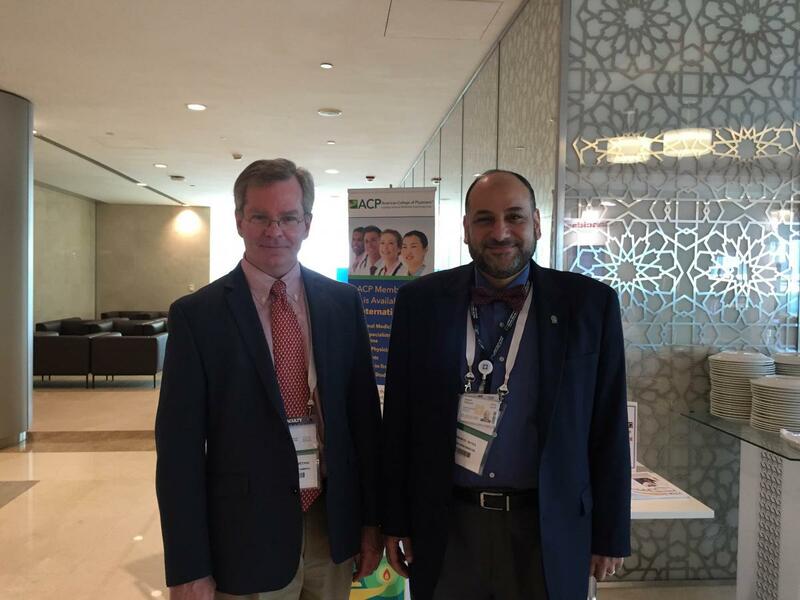 The meeting featured a number of impressive faculty not only from the Cleveland Clinic USA and Abu Dhabi, but also included ACP International Ambassador George Smetana, MD, FACP, who delivered two lectures on Treatment of Primary Headache Disorders and the Primary Care Treatment of Depression. All in all, it was a superb meeting and inaugural effort of one of the College's more recent chapters in a region of the world with excellent internists, members and Fellows that I look forward to following in the years ahead as it continues to grow and mature.